Click here to save up to 10% on the Nikon P308 in 2017! From the most respected and original brand in the optics industry comes another rifle scope product that is designed to be the best among its contenders, the Nikon P-308. Nikon has been known to produce high-quality and supreme worth of products such as binoculars, microscopes, cameras and much more. With a history going back to 1917, Nikon has built a reputation through experience of creating products that are able to meet consumers’ demands on specifications, characteristic, quality and longevity. In addition, the superb condition of the products can be equated correspondingly to the price range. A high quality rifle scope existing in the optic industry from a trusted Optic company is the Nikon P-308 Riflescope. With all the Nikon P 308 review on the positive side, it can be guaranteed that this is a superb product for an extraordinary shooting performance. With the introduction of this all new P-308 riflescope, Nikon has comprehensively expanded its line-up of precision .308 WIN riflescope. This new riflescope provides every shooter all the basic necessities they need to shoot and hit a target. The magnification runs between 4 to 12 times with a 40mm objective. The lenses are fully multicoated to guarantee a perfect view. Nikon’s popular Bullet Drop Compensator 800 reticle is featured in the P-308 riflescope. This reticle has been claimed and tested to be competent as it is specifically engineered for the.308 Winchester/7.62x51mm NATO round with 168-grain HBT Match bullet at 2,680 fps.This particular riflescope from Nikon features a Zero-Reset spring loaded turrets. This permits shooters to reset turrets back to zero easily. The Nikon P-308 provides a shooter incredible adaptability and flexibility in shooting any kids of targets at any range. The Optical system produces clear and luminous views of the target even across an entire field of view in any magnification adjustments. Eyebrows are safe from recoils with the quick-focus, generous and consistent eyepiece relief. The Nikon P-308 riflescope has a calibre-specific technology and a trajectory-compensating reticle. It has a constant and generous eye relief and interchangeable turret technology. The Nikon P-308 is also upgraded with Spot on Ballistic Match Technology which administers users with exact target points on any Bullet Drop Compensator reticle using any kind of ammunition at a specified target range. The Spot on Ballistic Match Technology is a trademark program of Nikon Optics and is now available to use in any mobile device. The Nikon P-308 has a 1” tube diameter with ¼ click adjustment type. The P-308 is built-in with uncovered, spring-loaded finger adjustable turrets that are resettable to zero. The turrets are of medium height and zero stop. It has a fast focus eye piece and the reticle is constructed in wire with a second reticle focal plane. The objective lenses are housed in a 40mm diameter objective bell with an ocular bell diameter of 44mm. The space from the eye to the ocular lens is a good 3.7”and the exit pupil diameter is a good 3.3mm at 12x. The windage adjustment is 60 minute of angle while the elevation adjustment is 60 minute of angle. The field of view of the scope is around 23.6’ at 4x and 7.9’ at 12x. The Nikon P-308 Rifle scope is made with outstandingly consistent materials. It has a fully multicoated optical system of layers of anti-reflective compounds that provides brilliant and vibrant images and optimal light transmission in any time restraints and situations. It has a matte finish in a 17.5 oz. weight that brings enough comfort and relief to any shooter using it. The P-308 is built in an especially tough, one-piece aircraft grade aluminium alloy tube. The rifle scope is nitrogen-filled and the O-ring are sealed ensuring a waterproof, fogproof and shockproof performance. Rifle scopes are quiet significant to almost every firearm enthusiast. The use of an optical sighting device not only to rifles but even to handguns and shotguns are kind of considered as basic essential in the use of the said guns. Rifle scopes make any shooting tasks simpler and easier from the complexity of lining up iron sights to amplifying the targets. Switching focus from rear to front sight of a target without using a scope is tough if not impossible. Scopes magnify images by blending light rays through chains of lenses inside the scope. The center of the scopes’ peripheral field has cross hair, dot or other similar markings. With rifle scopes, it is easy to target shoot by means of aligning the center reference point where you want to shoot and pull the trigger. Power Ring- A rotating ring that is used in modifying magnification of scope. Windage Adjustment- Changes the aiming point of the scope horizontally to sight in. Elevation Adjustment- Changes the aiming point of the scope vertically to sight in. Tube – The inner tube holds the lenses to retract light and the outer tube protects the inner tube. Objective Lenses- The lenses that collects the light that drives through the scope. Objective Bell- Houses the objective lenses. There are numerous different variations of rifle scopes in the market today but can be categorized into three types namely Variable Scopes, Fixed Scopes and Night Vision Scopes. The most common rifle scope is the variable scope which provides shooter a clear view for a clean shot. Magnification in variable scopes can be adjusted through the variables. Rifle scopes under this category are much preferred by sniper users because they are good at shooting farther distances. The fixed scopes are simpler than the variable scopes but are only ideal to a specific target range. Magnification cannot be adjusted but are only permanently set with the riflescope’s given power. The night vision scopes are specialty scopes. They can be either variable or fixed or a combination of the two. It has advanced capacity that enables hunters and shooters to shoot targets at night when there is relatively small amount of light. 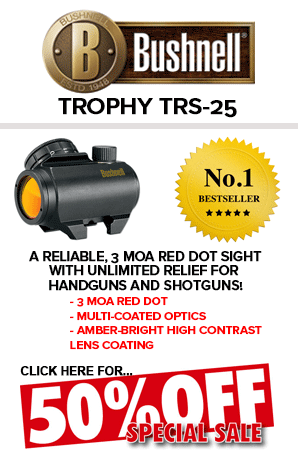 There are a lot of rifle scope products that are available for purchase in the optics market. Choosing the right one for your firearms is a complex task. Rifle scopes should match the kind of shooting, type of gun and other personal references like color, reticle type of brands. There are certain factors that need to be considered in choosing the right one. Specifications and technical information of the riflescope should be examined and reviewed if they match taste and technicalities desired. Take the exit pupil of a rifle scope. Exit pupil is the span of the beam of light, usually measured in millimetres, parting the eye piece. Night situations and low light conditions require a large exit pupil to make the image become brighter. The exit pupil’s measurement must be equivalent as the dilation of the eye’s pupil. If and when the exit pupil is larger than the pupil’s width, the image will not be as bright as when the exit and eye’s pupil are of the same size. The field of view of a rifle scope is significant. That is the wider the view, the better. Various levels of magnification are provided in a rifle scope. Some scope denotes fix power such as 3x that means enlarging of the image is three times the original. Variable power scope terminology of 4-9x, 30mm means that images are magnified between 4 and 9 times and the objective lens is 30mm in diameter. A variable power scope is said to be a better choice because it allows adjustment on magnification. Only, variable power scopes are more expensive than the fixed power ones. Various types of reticles should also be considered in choosing the right scope. Reticle preference can be more relied to taste rather than science. New modern reticles available are the Ballistic Mil Dot, Bullet Drop Compensator and Tactical Milling Reticle. The old and traditional reticles are also still for grabs like the cross hair, duplex, German #4 and the different types of dots and illuminated ones. The light transmission of the light coming into the objective lens will depart the ocular lens. Quality rifle scopes allow all the light resulting to a superior firing performance. The beam of light that exits the ocular lens should be articulate in resolution. Good rifle scopes with high resolution will provide a sharp image while the ones with low resolution will provide vague images. Scratches, glares and poor resolution are characteristics of a low quality rifle scope. Scopes with coated lenses are ideal for protecting the scopes from circumstances on wood and other dangerous sites exploration. They are also recommended in storing and keeping the scope. A well-sealed scope is a good quality scope. Seals protect the scopes from moisture and other damages. 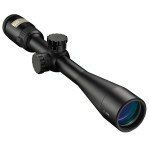 The price that comes along with the high quality rifle scope is a little bit more than cheap. But with brands such as Nikon, a consumer is assured that he gets the quality his pay deserves. A major consideration that hunters and shooters alike are considering in finding the perfect shooting accessory is the extent of help and guidance the scopes could provide for an amazing shooting experience. One thing that is of foremost concern is the scope’s simplicity. Another one would be the comfort it offers to shooters using it. The use of rifle scope has made majority of shooters able to entirely kill a shot. Some factors are needed for consideration in choosing the ideal rifle partner. Bigger and more expensive ones are not always the better scopes. Take into account the kind of shooting to make and the shooting distance to take. Comprehend the numbers on a scope because they mean a lot. The measurement of Magnification levels, eye distance and objective lens are denoted through the numbers in the scope. The age of a shooter or hunter is also to be of a consideration value. They can affect the dilation of the eyes. People of older age will experience a smaller dilation as compared to younger people. The exit pupil is significant in relation to the eye relief. Before purchasing a rifle scope, contemplate on the amount of eye relief and exit pupil of the scope. Objective lens should be of standard size. A large objective lens makes it tougher to hold the rifle. The field of view is also a considering factor. It should be correlated with the magnification adjustments as a decrease in magnification corresponds to an increase in field of view. The condition of anything including riflescopes depends on how the owners handle it. In order that the Riflescope be of great use and durability in a prolonged existence, it is best to take care of the item with utmost guidance. The lenses should be kept clean. Debris and marks at the scope’s lenses should be cleaned by moistening the lens first before wiping. There are available free lens cleaning solutions that come with the product. Nikon has been known for riflescopes that offer better-quality optics, rugged construction and consistent performance. The brand is also dedicated to offer a total customer satisfaction. The riflescope if and when requires service or repair is covered under No Fault Repair/replacement Policy if not covered under the Lifetime warranty. All Nikon products are covered by the Limited Lifetime Warranty. Riflescopes discovered to have defects in craft and artistry or materials can be replaced or repaired at no charge. Nikon P-308 will give you a superior shooting experience may it be on whatever targets at any range. Thank you for reading our Nikon P308 review!